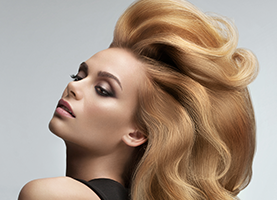 Get Ready For Spring With Our Hair Highlight Special! Call And Refer To Promo Code: Spring Highlight! We provide an organic line of Color that is Ammonia Free & it's formulated without PPD. To feel truly amazing, you need to feel great about yourself from your head to your feet—and your nails are no exception! We provide a range of color options, including: semi-permanent color, permanent color, temporary color, and much more! When you want to look and feel your best, Mystique Color Salon can help you achieve this goal. As a client, you are provided with full hair care services, manicures and pedicures, skin care and massage services. We can make you over for a wedding, prom, homecoming or other formal event. Our stylists have over 25 years of experience to make you feel beautiful on your special day with hair cuts, braiding, or extensions. At one time or another, we’ve all wondered what it feels like to be a celebrity—from their perfect makeup to their amazing hair, it must feel great to have an entire team to make you feel beautiful each day. Truthfully, most of us will never know what it’s like to be recognized on the street. However, a visit to Mystique Color Salon in Frederick, MD is the next best thing! Our talented staff has more than 25 years’ experience in the industry. We specialize in haircuts and styling, color treatments and spa services. We are attentive, friendly and always up to date on the latest trends. 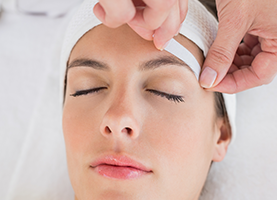 We understand day-to-day life can be overwhelming, which is why we strive to create a relaxing atmosphere where you and your pampering are our number one concern. In addition to our everyday services, we also provide private services for wedding parties. We can work your weddings colors into your hair and makeup if you desire and ensure that you, your bridesmaids and anyone else you bring along are coordinated. If you are looking for a brand new look, just want to update your current haircut, or aren’t sure what exactly you want, let us help! We can confer with you to ensure your hair matches your personality and your lifestyle. Call Mystique Color Salon today to schedule an appointment! You may not be recognized on the street but your family and friends will surely be awestruck!